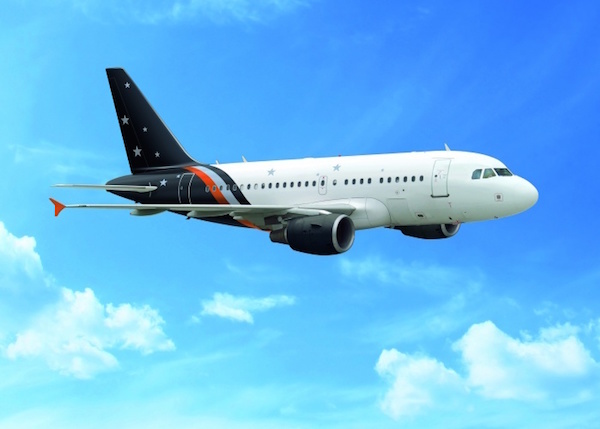 UK charter and airline sub-charter specialist Titan Airways is bolstering its fleet with the introduction of a first Airbus A318. The seven year young Airbus A318, G-EUNB, will join the carrier’s 11-strong fleet later this month and begin revenue service in early June. The Airbus A318-100, a single aisle, twin-engine jet, is the smallest member of the Airbus 320 family. Thanks to its size and steep approach compatibility, the aircraft can operate to and from smaller regional airfields. Titan will be operating the latest addition to its growing fleet in an all-business 32-seat configuration for high-end short and long haul travel. The eight rows of seats offer a spacious 72 inch seat pitch, convert into six foot fully lie-flat beds and feature individual in-seat power sockets for laptops, phones and other portable entertainment devices. The new VIP product complements the carrier’s Boeing 757 all-business class cabin options. Alastair Kiernan, commercial director, Titan Airways, said: “At Titan Airways we have a great deal of experience in the business and VIP charter market and are proud to have welcomed on-board royalty, heads of state, government delegations, senior business executives, world-renowned personalities from the music and film industries and international sports stars. The latest addition is in line with the carrier’s fleet modernisation strategy, which has seen the introduction of three Airbus A320s and an Airbus A321 over the last four years.